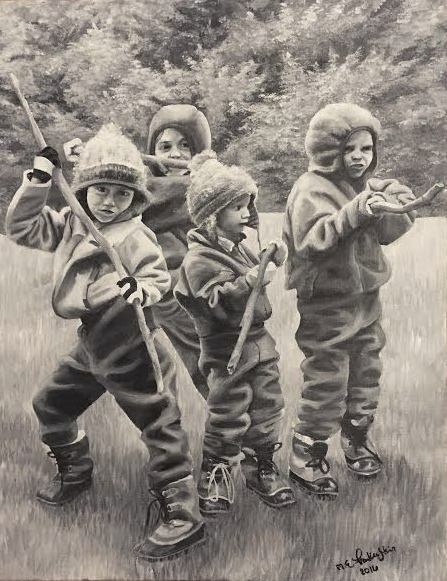 This entry was posted in Other Work and tagged acrylic painting, black and white, boyhood, boys, brothers, Colorado, L.L. Bean Boots, maine, painting, sons. Bookmark the permalink.